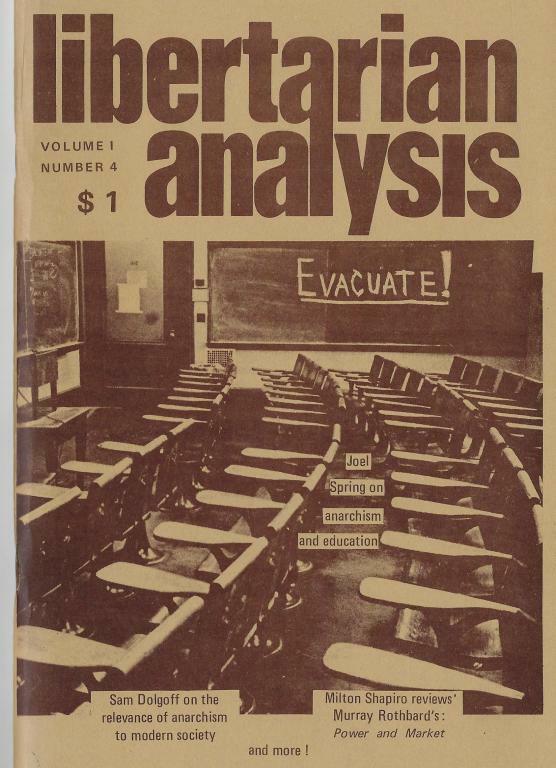 An archive of Libertarian analysis, a publication produced out of New York during the 1970s that attempted to build links between "left" and "right" libertarians. Is capitalism a market society? Could only find one issue of this. Also don't know much about the publication such as who was behind it, how long it was published etc. If anyone has additional issues or information on this, they should share! The article by Jack Frager * on Gustav Lauder is informative. Actually, this is where I learned about him. "The Libertarian" was within this trend of thinking and approach. Karl Hess was to go left, then shift center left again. Rothbard, blech, right wing. The “Radical Libertarian Alliance” was founded in 1969 and lasted until 1972 — making it one of the earlier organizations in the modern libertarian movement. It was small, decentralized, and part of the left/libertarian outreach of that period — with free-market anarchists Murray Rothbard and Karl Hess among the more prominent members. It for a time issued a publication called The Abolitionist. The July 1971 issue featured an article by Jerome Tuccille titled “What Happens Now: Some Thoughts on the Movement” that tried to anticipate the future of libertarian influence in the counterculture, the anti-war movement, and the loose coalition of groups who had given up on the centrist strong-central-government consensus. I did notice the Rothbard review but failed to pick up that it was a part of that left-right thing from the late 60s-early 70s. I've edited the description of the publication to reflect that.